With this article we intend to lay a foundation of the science and research that we have found on the subject of root canal therapy in the hope that having access to this research you will be more equipped to make a more informed decision if you are ever faced with the situation of having to consider having a root canal. We hope this information also assists you along your path to greater oral health and whole being wellness if you already have a root canal as we discuss some of the options you have before you. This is the first of a series of articles on subjects that you, our readers, have asked us to research and share our perspective with you. You’ll find links at the bottom of this article to the others in the series. We feel compelled to start this article with a strong reminder that stress undermines our ability to have optimal health. Stress literally runs down our immune response. So, if you have a root canal, please read this article lightly. Let’s start by getting a cast of characters from history involved in the discussion. Weston A. Price… Who else? No discussion about root canals would be complete without looking at the research Weston A. Price conducted over 35 years in his exhaustive research. Dr. Price studied experimented on over 60,000 rabbits by embedding tips of teeth extracted from humans under the belly skin of the rabbit. He did this to test time and time again how the bacteria from teeth impact the health of the whole body. In one experiment, in particular, Dr. Price took a tooth from a person who recently died from a heart attack and embedded the tip of that tooth root under the skin of a rabbit. Within two weeks, that rabbit died of a heart attack. Dr. Price then removed the tip from the now dead rabbit and embedded it under the skin of a second rabbit. The second rabbit died of a heart attack within two weeks. Dr. Price continued this procedure using the same tooth root with 100 rabbits. All 100 rabbits died of a heart attack within two weeks. Dr. Price found that the only way to stop this progression of the root canal tooth from passing on the disease was to boil the tooth in water for 30 minutes. Fact: Teeth are living tissue. And when teeth are alive, they have a flow of fluid through them. The fact that we need to come to firm grips with here is that although they seem solid, teeth are actually extremely porous. They are filled with tiny tubes, called tubules. These tubules are tiny yet wide enough to house 5 bacteria standing side by side. Think bacterial super highway. It is suggested that the average front tooth has approximately 3 miles of tubules through it (if stacked end to end). When the teeth are alive, they have blood flowing through them and the blood flow creates flow through the dentinal tubules as well, thus cleansing the tooth. The issue is the fact that a root canal tooth is dead, politically called non-vital. The root canal procedure stops the flow of blood into the tooth which kills the tooth. This makes all the difference as the tooth now has no way to maintain healthy microbial balance within the tubules. To add insult to injury, the bacterial colonies change when exposed to different environments. When the tooth dies, the environment changes to a low oxygen environment (no fluid flow to maintain healthy environment) which tends to encourage bad bugs capable of producing powerful toxins. Let’s take a look at the research conducted by Dr. Boyd Haley, now retired professor of chemistry at the University of Kentucky. To put him into perspective, Dr. Haley was one of the first researchers to propose that Thimerosal in vaccines (due to the mercury content) was the most likely toxic agent involved in Gulf War syndrome and autism spectrum disorders. Dr. Haley chose to do his own studies similar to Weston Price’s research on root canal teeth using today’s technology. Dr. Haley studied approximately 900 teeth with root canals for their level of toxicity within. He grouped the teeth into three different groups. Starting to see the potential problem? Side note, although I have not been able to ask him directly, it was told to me that Dr. Haley and his wife both had all root canals they had in their mouths removed upon the completion of his studies of root canal teeth. So, if we take Dr. Haley’s research and ponder the implications, it shows us that if a person has one root canal, they have a 25% chance that it’s no big deal, 50% chance that it will cause some trouble and be a source of irritation and aggravation for their immune system, and a 25% chance that it could cause big trouble. What the research is finding is that certain bacterial strains have an affinity for certain tissues in the body. So, while one bacteria really likes to cause trouble in heart cells, another might prefer liver cells and choose to take up residence there to cause trouble. The bacterial toxins associated with dead teeth is just one of the issues around root canals. Another issue is the various materials used to fill the pulp chamber of the tooth once the root canal has been performed. Yet another issue is the relationship between the root canal tooth and the bio-energetic flow to the internal organs associated with that tooth. (Click here to view an interactive chart to see what teeth relate to which internal organs and body parts.) We’ll table these issues for other articles. With all this, you might wonder why this issue isn’t black and white for us and how we could ever ponder why someone would choose to keep a root canal tooth in place. As many of you know, we are not experts but consider ourselves very broad generalists. We have to take all this information in and decide what we are going to do about it. You see, if a person chooses to have a root canal tooth removed, especially if they have more than one root canal, this can compromise the person’s ability to chew food and therefore nourish their body. This ability to nourish our bodies is so fundamentally crucial that it really must be thoroughly considered and a sober decision be made regarding the best route for one’s life. After all, if a person only has one root canal and is living a healthy life, it’s possible that their immune system is able to effectively stay on top of any disruption the dead tooth could be causing. So, it’s not a black or white issue for us. Each of us must soberly look at the information available on the subject and decide that path for us. We hope this article helps to increase your knowledge of the subject of the whole body implications that root canals play. In our next article in this series, we’ll explore the options someone has if they currently have one or more root canals and have decided to have the root canal tooth removed. We will look at the various choices a person has regarding how to fill the gap and the relatively long-term implications of each. Please post below in the comments your thoughts or experiences with root canals in your own life. Also, feel free to download our FREE Guide to Safe Dentistry, which explains what questions to ask to find a dental team who will work with you on your journey to greater oral health. I have numerous root canals (am 70 years young) and my father was a dentist. He of course was schooled in the “old” ways, so I had numerous fillings. (mercury laden of course) So over the years as I have learned, I had the “silver” fillings removed, and then found out about root canals which I have a few. Then last Xmas, suddenly had a rear bottom R tooth (I think # 18 (unless that is a wisdom tooth) go bad and infect the tooth next to it. The pain was intense but I am an Acupuncturist and believe there is a way to heal naturally if you find the cause, So I had it x-rayed after the holidays and have that x-ray. I treated it with a silver solution (did take a course of Amoxicillin too) and then patches that work like Acupuncture. It is on the sm/lg intestine teeth so patched those meridians. I have not had the $ since then to get it fixed and am still trying to figure out what to do. My last tooth (the one with the root canal, the one next only has a gold crown) is still a little sensitive and it definitely has to do with my diet as to how sensitive, the other one is fine now. I have been exploring my options and going after imbalances in the gut (both sm and lg) to correct it from that end. I live about 4 hours from Phx so will be choosing a dentist there probably. Just what to do is the ?? I love your blogs and articles. I have learned so much from you and this info on Weston Price is very helpful. Thanks. Any words of wisdom? Thank you for your kind words of support. Please check back here for the follow up articles which will share the options we have found helpful. I think it’s a great idea to address the internal organ angle when we feel pain/imbalance in a tooth. It seems that the energy goes both ways to us. In other words, either one can come first, the tooth pain causing organ issues or organ imbalance showing up as a dental issue. Thank you for sharing your story with us here. I’m sure that others will benefit hearing how you are addressing this situation by supporting the health of the internal organs associated with the tooth in question. Holler with any other questions! I am wondering if my root canal could somehow be indirectly related to my Afib? It was tooth #37 and Im guessing it was done 1-2 years before my first AF episode. This was also an Amalgam filling before the procedure. Thank you for asking your questions. While we can’t offer any medical advice, given that the mouth is directly connected to the health of the whole body, I think it wise for you to consider this oral health question and the potential of its impact on the health of the rest of your body. Now , on one hand i can almost see this correlation between certain teeth affecting specific locations such as the gut and kidney etc almost like the myths of reading someones palm and palm reading. How these charts or connections could just be ramdom lucky guesses or there is an actual simple scientific explanation. But i have had issues in and with my gut starting shortly afterwards post root canal treatment. I just figured logically , being that i now had more teeth to chew food with , the more food i was able to then eat once my problemed teeth were restored to being able to withstand without pain eating food. I had completely stopped chewing on one side of my mouth due to the pain and discomfort of those molars that were falling apart. But it goes deeper than that , or so far thats what i believe. Ive had nothing but strange symptoms, one being extreme and uncontrolled weight gain which snuck up on me , not sure if i have an adrenal tumor or not but have all but one symptom of cushing’s disease/syndrome, then a series of on and off strange what seemed like and acted the same as skin welts and rashes not unlike that of spider and or mosquito and or flea bites, excpet i know when its an insect bite or not. And so random these strange skin rashes, or puffy raised filled areas that would show up in different spots and different days disappeared just as fast as they appeared went on for at least 6 months. Never could get to a doctor in time for them to actually look at and examine them being they were gone so quickly. So, i just kept track and took pictures as it all happened. Eventually what i ended up with that led me to the ER at scripps hospital was a kidney infection beginning of the year january 2014. I dont believe i got pylonephritis from a untreated UTI infection because i just know one night i felt the need to urinate over and over but without ever producing a whole lot of urine flow out. No burning sensation or anything like experiencing in the past when i would get a UTI when i was a kid. You dont forget that pain. Ever. I finally learned the importance of drinking water. I had always been such a rebel when it came to water. I was convinced i was special or something and can and would totally live without it up until this point when i was stricken with an affliction of kidney pain. I’ve been a dedicated drinker of water now every single day. Im hoping having this last and final failed root canaled tooth extracted along with the infection it has created for so long now , will finally end whatever problems and health issues that arose since having root canals done. If its not directly related or even closely to it then it must be all the the toxins i willingly put into my body all the time. In 1999, I had (1) root canal done during a crown implementation. I had severe nerve pain after the crown was placed and was told that the root was dead and I needed a root canal. In 2001 I began feeling extremely tired to the point that at Christmas of that year, where normally I was exuberant about the season, I sat down on the couch and said to my husband, “I feel like someone turned a tap on and just drained all the energy out of my body.” After medical tests it was discovered that I had severely low thyroid function and have been on meds since that time and have now developed small cysts on the para-thyroid. The tooth? Number #13! I’ve been trying everthing to get off meds including adopting the Weston A. Price eating practices and the addition of coconut oil into my diet and though these two changes have helped measurably. Ironically, I’ve been trying to pinpoint when and what circumstance contributed to my malfunctioning thyroid and it wasn’t until I read this article that everything became clear. Thank you for the epiphany and I can’t tell you how much I anticipate learning what my options are with this regard in your up-coming articles. Yours is not the first story we have heard of someone having a root canal on a tooth relating to thyroid only to find that their thyroid function is impaired. Stay tuned as we will share the next parts of this series as we have them ready. Check out the GAPS diet for healing too. Very much based on Dr. Price’s research as well. I’ve heard a lot of great healing testimonies from this diet. Thanks for all the great info and products Orawellness! I would like to add to Debra’s connection between tooth #13 and thyroid issues! I too have a few root canals (teeth 19 & 20). One was infected and then required an apicoectomy surgery (tooth #20) and is still a mess, chronically inflamed. I was diagnosed hypothyroid AND more recently, autoimmune disease (Hashimoto’s) also with cysts on my thyroid like Debra. I am relatively young, age 31. Tooth #13 was the last of my teeth to have a mercury filling remaining in it, and I finally had it removed 2 weeks ago. My thyroid symptoms improved immediately, though did not reverse completely. Interestingly, looking at the tooth-relationship chart link you provided, I see that tooth #19, which is the infected/surgery root canal tooth, is linked to the Hypothalamus!! It is my HPA Axis (hypothalamus-adrenal-pituitary axis) which is all out of whack and is perpetuating the thyroid disease. Properly functioning HPA Axis is critical to thyroid function for everyone, and many people have an issue with it and just don’t know it. Makes lots of sense. Just wanted to share this info with you both. Very interested to see what you have to say regarding “removing” troublesome root canal teeth in the event of a chronic illness, like the one I have. The Rife machine also treats your thyroid problems….see the long list of disease conditions you can clear up with Rife frequency machines. I can’t get the chart to come up. I am very interested in seeing it because I had a root canal 6 years ago and have been experiencing lot of strange and painful things since then! Thanks for posting! The issue is most likely that you are trying to view the meridian tooth chart on an ipad. The tooth chart requires flash player which I don’t think the ipad uses. Try it again on another device and see if you can get it to load. You may very well be blown away with the correlations you find from researching this tool! Great article. I am aware that any original infection in the body has the ability to “linger on” and cause havoc elsewhere, but really had no idea about a so called “dead tooth” having capability to create this kind of havoc. But it all makes sense now to me! When no oxygen is present in living tissue, it will obviously have difficult time to sustain itself and die, and as you mention and I assume, the same goes for a “dead tooth” lingering on around living tissue. This was very fascinating and I THANK YOU for the research and effort in making this a most worthwhile article to read. I will pass along to all my followers. How does one go about getting them removed, and what goes in its place? my husband is halfway through having a root canal, due to the expense he has been waiting several months. we both know route canals are bad, but don’t know of any other options apart from removing the tooth. thank you for your article. I am a 30 year old woman just experiencing this root canal issue myself. I had a root canal done 4 years ago because of an cystic infection in a front lower tooth. Unfortunately the dentist didn’t do it right and I needed a root amputation, doing this the dentist accidently killed the nerve of the healthy tooth that was next to it. So this tooth also needed a root canal. Both are two lower front teeth. Now 4 years later my health has deteriorated a lot, I have suddenly acne which I never had, am only weighing 40 kilos and I am missing my energy. Asking doctors and dentist here in Germany if the root canals are maybe the trigger for this they couldnt give me an answer because this is such an unknown theme here or they just dont believe in it. So as I am so young and the two root canals were made in the lower front teeth I would be really very grateful to get some feedback for which good, healthy options there are when having root canals. Options that let me as a young pretty girl not be afraid to loose my smile, because thats what I love to smile a lot and I am really scared about taking the right decision after this bad experience with the dentist but I want to have my health back and want to make me healthy again and if possible find an option that keeps my happy natural smile. So thank you for giving people like me more info about what options would be best when having a root canal! I routinely identify toxic root canals, cavitations, mercury toxicity in my chiropractic practice using Applied Kinesiology. It is always challenging to find the right dentist to help. Here is one german dentist (Dr Angermeier) that may be helpful and will understand your root canal situation. http://www.ak-zahnmedizin.de/home.html. Possibly he can refer you to a colleague if his practice is too far for you. I have had verious health issues over the years, despite trying to live and eat healthy. I also have “fuzzy brain” (brain fog) My children have allergies to dairy, and I have wondered if my teeth have compromised their systems. I fell earlier this year, chin first onto the sidewalk. Did a lot of damage to lips and teeth. The problem is I pushed my crown (had a root canal done 24years ago) up into my top gum by 4mm. The dentist can’t remove the old crown due to the considerable risk of a very serious infection setting in. So they have cut back the old crown and put a temporary crown over the top. I would still like to have the impacted 4mms removed from my gum. Are the risks really that high and what would they replace it with. I am a dentist and have been practicing “holistically” (No Hg, no root canals) for over 25 years now. When I was 40, I had all my Hg fillings and one RC tooth (#13) removed. Most all of my health concerns resolved within less than one year. I am now 65, still practicing and healthy. Just wanted to let you know that I had a root canal on #29 about 6 years ago. I got very sick and my THYROID went haywire! and that caused my heart trouble! !So that matches up with your chart. I had the tooth properly extracted by Dr. Breiner in CT in September. I feel like a new woman. I am 55 and chaulked a lot of my problems over the past 6 years up to getting older, but now that that tooth is gone, I am feeling like my old self…thank you for your work, I truly appreciate people like you! I have numerous root canals….. I am eager for your further info in this series. At 68 years of age, I would like to maximize my health if possible. Thanks for this and upcoming articles on root canals. Very helpful! I just turned 71 on Monday the 24th and have been having issues for years with hypertension. The AMA doesn’t know what causes it but they sure have methods of making things worse with adding more toxins in beta blockers, etc. The most resent root canal has given me more trouble. The tooth seems to be loose and I have had gum swelling. Ive taken antibiotics which relieved the pressure but does not provide a cure. The swelling in the gum forces the tooth upward at times making it uncomfortable to eat. This has also happened to another molar but that one settled down and has not bothered me. The other issue is bad breath which I believe to be caused by this inflammation. I guess implants will have to be done and get these poison traps out of my body. Thank you so much for this article, and for all future and past ones. More recently I started noticing some lung problems, and saw that my root canal and the implant are both connected with the lung meridian, so I am in the process of doing research about the best dentist and procedure to remove them, and am also trying to figure out what to do once they are out. so thank you so much for your research efforts, and for sharing with me your findings. Your support is making it a little easier in a tough situation. I understand that root canals may be dangerous and cause subsequent problems, but why the story with the rabbit? That doesn’t prove anything and strikes me as bizarre. to prove that the tooth was the cause of the result? The rabbit studies show how the bacteria in teeth led to systemic health problems. The article then goes on to discuss the bacteria in teeth with root canals causing systemic health issues. I will be keeping myself posted on your article and I am very glad that we agree that it is not a black and white issue. Good news! : I went to an agents and editors conference last week where I pitched my book to many agents. Any of them who did memoirs were very interested and asked me to send the first three chapters of my book! I’m turning my blog into book form now, and I am looking forward to sending it out! I may have an agent soon! Thanks again, and I will talk to you soon! I don’t believe I’ve ever had a root canal, but I did undergo a tooth removal with a bone implant. The tooth removed supports a bridge, so the implant was STRONGLY recommended. Sometimes I feel an ache there, but it is usually in concert with allergy-aggravated sinues. In the past two-and-a-half years I’ve been diagnosed with paroxsymal atrial fibrillation. Do you think I need to be especially mindful about my dental or heart care going forward? Thank you so much this came at just the right time for us! i’ve been waiting for a series of articles like this…maybe you’ll be talking about implants as an alternative to root canals…they’re expensive, but maybe worth it? My mother had a couple of amalgams removed about 6 months ago. After the removal she experienced severe pain in one of the teeth. After several visits to the dentist and a course of antibiotics he recommended a root canal. He started the root canal and needed her to come back over two visits to finish it off. Due to the expense of the amalgam removals, she couldn’t afford to finish the root canal. It has been 5 months now and has no pain in that tooth. Does this mean she has no need for a root canal and how can she check if that tooth is ok? I am soooo grateful for this article and the ones to come. I have had my own challenges and extensive and costly procedures over many years – all the while wondering why teeth should need all this technical intervention when the rest of the body is self-healing (under best conditions). I began to read and research, found ORA WELLNESS, and the works of Dr. Weston Price. My oral health has been improved immeasurably. But one secret I learned that might help those in transition – or anyone – is the ancient ayurvedic practice of oil pulling. It actually pulls all of the toxins from the body. It is simple to do and inexpensive and the effects quite quick to experience. WIll and Susan, I hope you might look into this for your series as this might be a practice to bring the whole body to balance during procedures. I thought of this particularly for Dr. Rider and young Marie. Thanks for this very enlightening forum! I found regular oil pulling with coconut oil whitened my teeth noticeably. It also makes the mouth feel so much cleaner after waking up. I think it is a great practice! Agreed Nancy! Thanks for sharing! Thank you for your very interesting information about root canals. As a “survivor”, I would suggest that your readers also check out Hal Huggins, DDS, in Colorado. He is one of the leading researchers in the field of root canals and has been studying the effects of “dead tissue” in the body for over 40 years. As a result of long consultations with my dentist, attending a lecture by Dr. Huggins, I elected to have 5 root canals extracted. It was a very difficult decision to make, but when I looked at the X-ray and saw the bone loss and the HUGE abscesses in my jaw above the root canals, it became a no brainer. I have a partial plate (which I detest, but there are worse things). I am not a candidate for implants as the bone was eaten away from the infection that had been in my mouth for years (the X-ray looks like a sky of cirrus clouds!). My health is slowly improving, though it wasn’t miraculous as I was hoping. Some teeth woes are hereditary (mine) and some are generated by lack of care and diet. I operate under the belief that your/my teeth are canaries in the coal mine: they are direct reflections of your/my health in general and it is important to develop at good, solid, honest relationship with a dentist that is knowledgeable, compassionate, and who takes the time to listen and guide you through any decision that you need to make regarding your teeth. My dentist does NOT do root canals. If a patient wants one, he refers them out with NO JUDGEMENT. I LOVE my dentist, and as a child victim of ’50’s dentistry, that is saying a LOT!!! Barkley Bastian, DDS, Pukalani, Maui, Hawaii….YOU ROCK!! Thank you for this website. Oral care is VERY IMPORTANT! Can hardly wait for next article! I’ve got two root canals for both upper incisors and I’ve known for a long time they need to go. But what to do??? And where to go….? Two weeks ago I had an abscessed tooth causing extreme pain. My dentist recommended a root canal. I tried to save the tooth. Did a round of antibiotics combined with natural measures (CST chiro adjustment, FCLO, eliminated grains, cleaning tooth with clove oil, etc.) The tooth felt almost normal again. I’ve been off antibiotics one week and last night the lower part of my face/jaw started swelling up. Do I have any other options at this point besides a root canal? Looking at the chart does that mean that if I had all 4 molar teeth pulled that I am at risk of having problems where those 4 teeth should have been? I’ve often wondered why everyone is told that their mouth is not big enough to hold all of their teeth and they need to be pulled. Is this a scam? How could we be so perfectly designed with that common “so called” flaw? I love your work and love your product. It can serve as a tool to see a relationship between specific teeth and whole body health issues. An example of this is a friend of ours who is a healthy person and the only medication she is on is for a thyroid imbalance. She was shocked to find that the only root canal she has in her mouth is in a tooth which relates to the thyroid. While it doesn’t always work this cleanly, the relationships can oftentimes be rather profound. The chart can also help us understand why a tooth which the dentist says is in perfect health hurts. This can be an early warning sign of internal organ imbalance showing up at that specific tooth. When we create an obstruction to the flow of energy through a specific tooth (think root canal, amalgam filling, metal crown), then the natural flow of energy is disrupted. This disruption may lead to imbalance with that meridian. Regarding missing teeth, I really don’t interpret this information as a poor choice. In other words, as an example, when an acupuncture meridian is severed on the body (like a person gets a cut on the tissue through a meridian), the energy is impeded temporarily but the body has a way of adapting around the scar tissue. That’s how I see having a tooth removed. Unlike a metal filling which will cause an electrical imbalance, the tooth not being there simply isn’t part of the flow of that meridian any longer. The meridian still flows to the region fine. Again, this is all my take on the subject and I’m no expert here. That said, as you know, we have been studying Traditional Chinese Medical theory for the past 25 years, so I do feel a sense of awareness and comfort in these thoughts above. Now, I am depressed beyond measure. I am 57 yrs old and have had numerous root canals all over my mouth. With all three risks you mention in this article, I have no idea what to do next. 5 are up front teeth, 3 on top, 2 on bottom, plus several others. I have had years of low energy, sinus and ear issues, gut issues, and ED. I am sure all these relate to poor tooth health. Yanking them all would leave me with dentures as only option? I have been very depressed about my issue as well. OraWellness will do a great job of educating all of us. This summer I’ve been dealing with what to do with my 3 FRONT root canaled bottom teeth. 2 are infected! I’ve been doing tons of research and checking internet to find others in my situation. One thing I wish there existed is a support group for those of us dealing with this. I look forward to what OraWellness says about implants. This for me is the only option for my front teeth. It’s expensive, but it’s my health and looks. Zirconia is the best option from what I am reading. I’ve also heard numerous times that no teeth or implants are safer than root canals. I believe an implant would help eliminate potential bone loss in the jaw rather than no teeth. I’m confident it will work out for me as it will for you. There is a solution. Fascinating article. Can you please clear up one point that I feel is a bit unclear and leads me to wonder about Dr Haley’s research findings…he found that,…’25% of the teeth Dr Haley studied contained a toxin stronger than the strongest toxin known to humans…’. I’m sorry if I sound picky but this means that botulinum is no longer the most toxic substance known to humans – the newly discovered toxins emanating from the tooth bacteria are. So what are these toxins? Do they have names now? How did he test them to determine that they were actually more toxic than botulinum? I have a new crown and my dentist told me it may well deteriorate under neath anyway and lead to needing a root canal…not happy with that prospect. I fully appreciate the Dr Haley story but can you point me in the direction of his research papers that details his findings please? The reporting of his possibly very helpful discoveries needs more clarity I feel. Glad I found this article, as I have a fractured molar (#31) which caused a great deal of pain. The dentist said I need a root canal and crown; the endodontist said he believes he can save the tooth with the root canal. It’s going to cost nearly $3,000 and my insurance only pays a portion. I don’t make much money, so I’m wondering if extracting the tooth would be a better approach, but I don’t want to cause more problems with the remaining teeth by having that tooth gone. I had a wisdom tooth pulled some years ago due to an abcess, and my jaw ached for about a year after that because the tooth was gone. In the meantime, I’ve been taking a lot of tylenol and advil, which can’t be good. I need to do something SOON. THank you Erin for this info on the relationship of the HPA Axis to the thyroid. It is a lightbulb moment. I am 70 yrs old, and I always thought in excellent health, no meds, but I have two root canals #18 & 19 which have been bothering me for some time. I was recently diagnosed with Hashimoto’s and have been deligent about my diet and my TPO’s have decreased since being on a gluten-free diet, corn, dairy and sugar free. My adrenal function is stressed and am taking a supplement. Before reading your comment I was seriously thinking of giving up these two teeth for the sake of my future health. Oil pulling is no longer effective. The holistic dentist in Barrington, Illinois recommends removal of these two teeth. She charges $2400 for the two, and that’s with out replacements. Thank goodness she offers a payment plan. This post looks pretty well. Go on this good job and pls upload some more stuff like this! am perplexed about what to do with tooth #4. An xray and very light pain upon touch shows abscess within dead root nerves. Dentist recommends root canal. I have to make a decision. I have been oil-pulling, which feels good to me, but the tooth is crowned. I have now 4 crowns. 2 upper, 2 lower. The process of drilling away so much of the tooth in order to crown it has always felt like a strngth/health invasion. It seems natural to me that nerves would die and cause further issues. That said, this particular tooth that now needs attention was crowned and lasted for 20 years. I also, like others on this discussion, don’t really know what best alternative to the root canal? The issue of feeling a good bite for chewing food. Yet I don’t want to delay decision too long and risk infecting the nearby tooth. I wonder about that likelihood? so I have 11 root canals and have had chronic digestive issues & I am now looking at pulling some of them & am a bit scared…I am not sure if there is any way to test and find the most problematic ones? As I have heard it is undectable in xrays- any thoughts? In this case, we do have a suggestion that we feel may prove to be very helpful in diagnosing any chronic infections around root canals and cavitations. The technology is thermal imaging. Currently, thermal imagery is being used (with great success) in early detection of breast cancer (with a much better success than mammograms). The thermal imagery picks up heat and inflammation patterns under the skin. Perhaps do a google search for thermal imaging (or search breast thermography) in your area and call some technicians to ask if they do analysis of facial imagery as well. We hope this helps you along your path to greater oral health! I’m sorry to hear your challenging situation. Although we are always looking for ways to keep all the teeth in our heads, sometimes it can be best to have the tooth removed. We encourage you to read through all the articles we have on root canals in order to gather more information regarding your options. I’m afraid that there is no ideal answer here. However, knowing all the options you have can be very helpful in providing you the choices available given your circumstance. I wish we could be of more help than this. Can I just say what a comfort to find somebody that really knows what they are talking about over the internet. man oh man I’ve suffered with an eating disorder since 14, my first (cavity) my dental situation had declined and have barely any real teeth left. Fillings, crowns, partials, root canals, all that , and Im 36. I felt along this time my declining health had to do with what my dentist was putting in my mouth. Now your information clears things up very well. I;m beside myself as to what to do now. Thank you for your information and I am a decendent of Dr. Price. In 2005, I was diagnosed with breast cancer in my left breast, thankfully, it was caught early. Back then, I had read about the correlation between root canals and breast cancer but I chose to ignore it. I had a root canal around 1996 on #14 and it was never done right. Between 1998 – 2000 I had to have an apicoectomy and then another cleaning out and refill of the canals but a different dentist. At that point, I should have extracted the tooth. It always still bothered me. It was more of a “presence” rather than pain, so i chose to live with it. After that, in 2006 and 2008 I proceeded to have 2 more root canals on #3 & #30, respectively. My general well-being was not bad but not great. I would on some days have bad knees and arthritis, often wake up with the right side of my face feeling numb, have right shoulder pain, sensitive scalp, all of which I just attributed to getting old (I’m 52). In the recent months, the gums around both #14 and #3 became inflamed and my dentist gave me antibiotics and they cleared up. What I noticed was that prior to this incident, my nails became very weak and thin and would just keep breaking even though I was taking a ton of biotin. After the inflammation cleared up, my nails suddenly started to grow … this was when I realized that my infected teeth were putting a strain on my body and decided to look into it. Having found your site and other similar sites, I became convinced and decided to remove all 3 of my root canals. Also, in the recent months, I have been constantly nauseas, my vision was deteriorating and things were blurry, I got depressed for no reason, lost motivation to do anything and my mental clarity was suffering. Ok so i removed my oldest root canal first and wow… it was disgusting… the tooth and canals were black and brittle and filled with mercury and had lots of red infected tissue on it. The second one was bad too but not as decayed and it had infected tissue on it as well. The final one which was removed only two days ago, was hard to get out since I guess it was not as ‘dead’ as the others and it did not look as disgusting. So, what I have noticed so far is that my vision is back… truly amazing!! I can drive in the dark and see road signs again, my depression is gone and mental clarity is back. I am sore and swollen from my last extraction so motivation is not 100% yet. Nausea is getting better… All the gross tasting leaching from the root canal sockets have made me continue to feel nauseas but it’s getting better as the sockets are healing. I had planned to get implants but now I am not sure because they may bring their own problems with the metals used. I am going to see if I can manage without anything and may just live with it. I feel so liberated with knowing that the toxic decay is out of my system. Thank you for sharing your story with us all so that hopefully someone who comes across your amazing recovery can find some sense of direction if they are in a place of pain and not knowing what might be the cause. While I think all the factors you mention (nausea, weakening eyesight, etc) can come from many sources, clearly chronic infection in the head can be a source point too! Way to go taking care of yourself. If you like, you may find some ideas for what to do with the space by reading our post of ‘Options if you have a missing tooth’. Hi. I just came upon your website after googling root canal and extreme tiredness/health. For the last three or four weeks now, I have had extreme exhaustion and lower back pain. I thought it may just be my low iron as I’ve had low iron issues previously. But this was a different tired. Just no energy whatsoever. Felt like I had no muscles at all. And I tire easily. My family doctor ran all bloodwork including iron, ferritin, Vitamin D, etc and all tests came back within normal limits. He said that maybe I need to do back exercises and exercise more for energy. Mind you, I am 47 years old and in very good health typically, except for this no energy and low back back recently. About four weeks ago, a tooth that I had a root canal on a couple years ago just started bleeding for no reason. It was a little painful upon having teeth together, but nothing unbearable. Then I noticed my lymph nodes under my chin were painful and enlarged a little. Then I started having headaches, some of them so bad that it was hard to function. I excused all of this away with teeth grinding (that my dentist says I do) and maybe a seasonal virus (with it being the time of year). Then yesterday I noticed that the same tooth started bleeing again. I’m really amazed after looking at the teeth chart, that the tooth I had the root canal on is #13. This just really blew me away because I’m thinking that with my extreme fatigue that I could have hashimotos thyroiditis. But it could be my tooth and affecting my health! I also had a root canal to #14 as well, which also deals with the thyroid. I have a dental appointment tomorrow to discuss this and hopefully get some answers. I just want to feel better. To have the energy to do things with my family and fiance. Do you have some suggestions of what to ask the dentist? Should I see a different dentist? I don’t know what to do from here? If you have suggestions, please let me know. Thank you so much! Thank you for reaching out to us here with your excellent questions! The medical/dental practitioners we choose to hire to help us are of CRITICAL and huge importance to what prognosis and treatment we will receive. It’s a sad but true fact that if you go to 5 different dentists and ask for their suggested course of treatment, chances are none of them will be identical. So, depending on what we want from a dental professional team to help us navigate the path to optimal oral health, it may behoove us to make sure that we hire a dentist who at least is aware of the toxic nature of dentistry. Better yet would be a dentist who honors the whole body as one system (aka doesn’t fall for the myth that you can treat the mouth separate from the rest of the body). Ideally would be someone who is aware of both of these factors AND uses alternative protocols like ozone gas in dentistry. 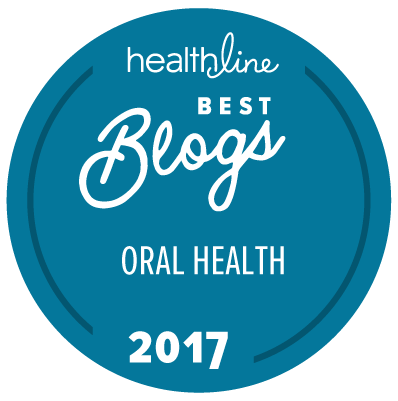 Here’s a link to an article we wrote to help you find a qualified dentist to assist you along your path. Hi – Until six weeks ago I was a healthy active 51 year old female. Then out of the blue I am diagnosed with Breast Cancer. They scheduled me for a mastectomy of my right breast. I had been having issues with a tooth and asked if I should get it taken care of before this operation. They say yes and I start researching where and what to do about this tooth. Then I come across all this info on Root Canals and critical Illness. I have had 3 root canals done in my life on 2, 3 and 14. All three of these teeth are related to the breast. After consulting with my Oral surgeon and he reviewing my xrays (which can show if there is some type of infection) I ended up having root canal and capped tooth #3 removed. FYI Root Canal tooth 2 and 14 had failed many years previous as the teeth had cracked and they were extracted years ago. My Question: I have extracted #3 tooth. I am wondering if it can be examined along with my pathology from my mastectomy and see if there is a link between the toxin in the tooth and the cancer in my breast? And if yes how does one go about doing this? FYI: I live in Canada but I could send stuff to the states. I’m sorry to hear your story. Thank you so much for sharing with us. I really don’t know if there’s a way to test for any connection between tissues. Given that all the teeth you reference relate to breast tissue, it seems a connection is likely. In the end, does it matter to know? Again, thank you so much for sharing your story with us. Think of all the people, men and women, who you may help by having the courage to share your story with us! Please feel free to email us directly if we can be of any service to you Julie, we’re here to help. I’ve only just started reading your series of posts as I have recently been recommended to have a root canal filling and am considering the alternatives. I already have an autoimmune condition and, for this reason, have had three teeth extracted in preference to having root canal fillings. Now my one remaining molar on the upper left is showing possible signs of dying. I had all my (very deep) amalgams removed about 22 years ago and it is quite likely that it was the resulting trauma that led to the gradual decline of the nerves in the extracted teeth – I never had any more decay. In more recent years I have had increasingly frequent headaches and jaw pain which have been ascribed to having the teeth extracted in conjunction with having a very narrow palate. So, I have 2 comments. One is that all decisions have long-term and possibly unpredictable consequences. I would certainly never urge anyone to have all their amalgams replaced without getting several opinions from different disciplines. Second point is about this site, which I find wonderfully refreshing and uplifting in comparison to the plethora of alarmist and negative sites which make an already difficult decision even more scary. Thank you very much for your kind intention to inform and support your readers, many of whom are probably very stressed by having to grapple with this decision while maybe already being ill. The problem is that although root canals certainly cause their share of problems, so do all the alternatives to root canals. No matter what you do, if you have a problem that calls for a root canal, you’re at a big risk of having even more problems down the line. This is great information; thank you for making it so easy to understand! I’m curious if baby root canals (what my kids’ dentist refers to as “pulpotomies”) cause the same problems as root canals in permanent teeth? Thank you! Back in 2009 I broke an upper premolar. My dentist said he would clean, seal and fill it. In other words, he did a root canal, without explaining to me that he would take out the living tissue and leave the tooth to basically die. Not long after that treatment I noticed the tooth becoming a bit blue-ish, but as it didn’t hurt, I thought nothing of it. I trusted my dentist. It was in the same year I started having weird sensations in my skin, particularly around my head and in the kidney area. For reasons unknown, one day, I fell into a deep black hole. My heart started to race, I became anti-social, very anxious and agoraphobic. I felt the energy being sucked out of me and had to drop out of school. I was so tired I thought I’d succumb to it. Long story short, I’ve been through hell for the past seven years and only recently looked into problems with root canals. I am very positive my health issues and the root canal are related, definitely, 100%. If it wasn’t, I don’t think I’d ever have gotten kidney stones, starting in 2010, one after the other. There are some subtle anomalies in my blood work that clearly scream infection but that were totally laughed away by several health professionals, not in the least an endocrinologist. I’ve had severe vitamin deficincies, especially in levels of D and B12. Mineral deficiencies: chromium, zinc. Elevated HGH, mild osteopenia. I’ve had a higher level in calcium levels that no doctor cared to looked into, but which has obviously been related to the kidney stones. Around the same time I started having reactions to certain foods, especially dairy, sugar, gluten and fruits rich in potassium. Things I had never had before in my life. As of today I still have the tooth, knowing it could have messed up my life and health single handedly. I dropped out of college, my senior year, not long after the root canal treatment. At the time, my girlfriend left me and I basically turned into a zombie, afraid and way too tired to even go to the most ordinary of places. I sincerely believe root canal treatments are extremely toxic to both physical and mental health alike, and I hope my story may prevent other people from letting their dentists poison them the way mine poisoned me. Rest assured, no root canal is 100% sterile and you will suffer some sort of health problem, minor or major, in the near or distant future should you decide to let your dentist ‘clean’ your bad tooth. I did worry about bacterial infection at the time of the surgery, but never, ever, ever, thought it would lead to the severe health issued like it did. The tooth itself will not signal infection as it will then be dead. The filling on top of it makes it hard to judge its vitality, mine fell out a while ago and revealed a black/brownish cavity in the natural tooth. It’s not because a dentist has gone to med school for several years that he or she completely understands how the human body operates. Bacteria will get in there and ruin your life if you let them. Root canal treated teeth are necrotic tissue and will poison you. I believe there is a strong connection between it and my kidney problems, heart palpitations, physical exhaustion and panic attacks. Far better to just extract bad teeth. The tooth is just not worth the misery it will put people through. I sincerely believe there is a strong connection with heart disease. The ADA is wrong. All they seem to care about is their own wallets. Please take it from someone who had a root canal go bad. And they all go bad. Don’t just take your dentist’s word for it. Thank you for sharing your story with us. I’m sorry to hear about your decline in health. My hopes are, that you are able to regain your health and vitality, and that others read your story here and benefit from you bearing your heart with us. I had two root canaled teeth. One of them was due to a dentist drilling into a tooth past my gum line and ruining it! It was #4. I went to another dentist and they did a root canal. Well, as of August 2017 I noticed I was getting a bump above that tooth. It would get bigger and smaller since then a tooth times. I also have been depressed often the past few months. I’m wondering if those toxins were messing with me. I’ll know in the coming weeks. I then got a cold in August and it lingered for two weeks. I never have that happen to me. Long story short, there has been something going on with my vocal chords. Recently my sinuses had a little green mucus coming from them in the morning. And at times I had discomfort with that tooth. I decided after hearing about how bad root canaled teeth were, I went the extraction/ bridge route earlier today. When the dentist removed it, not only was there an abscess, but also a cyst he removed! That has me thinking and wondering how close I could have been to having a cancerous cyst. The dentist that ruined that tooth also tried to stick amalgam in the tooth after he drilled past the gum line! I currently have the other root canaled tooth, #2. It has been okay for the last 4 years, but now I’m paranoid if it could be poisoning me slowly too and if there could be a cyst a tooth that one too… My wisdom tooth #1 actually came in last month and I’m considering having #2 extracted since it’s root cananled, and using the wisdom tooth to replace it since it’s alive and a new/ perfectly fine tooth. Many years ago, I had a bridge installed on my lower right to replace the space a baby tooth had made, with no adult tooth underneath. That bridge became lose, so went to my newer dentist. He removed the bridge, which was still firmly attached to my last molar (#30) which has a root canal. For years, too, I have been having right shoulder pain…worse when reclining. My reg. doc moved my arm around and said it was not skeletal. I am now thinking the pain is from the root canal. During my current treatment, to replace the bridge, I have had two temporary crowns over the #30 tooth. They both broke off, leaving me with pain. Last night, on a scale of 1-10, the pain was an easy 12. I am debating on having the #30 removed, with the root canal, but then, there will be no teeth…#s 27-30 being removed. I am 77 and in pretty good health. I still do my own yard work, but today, I feel I can hardly type this. I just took 4×200 IBUP for the pain. I leave for the dentist in a few. My heart feels like it is about to jump out of my chest. I feel my dentist does not really listen to me, and I am scared. I guess, today, I will get another temp over #30, and hopefully, some ABT for possible infection. I am refusing another bridge, because I found I can eat just fine missing those two teeth (28 and 29). I have been reading your site and find it very informative. Thank you.! Oh Elizabeth, I hope your dental appointment went well and you are no longer in pain. My heart goes out to you. Please let us know what you chose and how you are doing. I had a root cannel and a crown installed mOne month ago the dentist started my root cannel somehow he injected a medication into channel that caused extreame pain that he had to inject me twice to stop the pain, He stated he would not use that medication on me again. the root cannel was not finished at this time next day my whole lower jaw was purple and swelled up He gave me antibodics for the infection then 10 days later he cleaned it out. The next week he finished the root cannel and installed the crown,, removing the temp crown. this was last week. The swelling on the jaw has not gone down completely I still have a small swelling on my gum and jaw and feels like the swelling goes down one side lower jaw. I have very little pain mostly the gum is sour. Will the swelling ever go away if so how much time should it take. Swelling started Sept 11 now Oct 13 and the completely swelling has not gone away . Is this normal? what should I do? Ugg, I’m so sorry you’re having to deal with this. I really can’t comment on what may be going on, but clearly, I strongly encourage you to get a second opinion. This is tricky if you are in a small town. But I recommend you go to a new dentist and explain that you had a treatment done, question the quality of the treatment, and need professional feedback how to address the situation. We really feel for your situation and wish we could offer more direct support. If you have our HealThy Mouth Blend, I encourage you to gently massage the area with a little blend on your finger. While I’m I agreement with your article, I don’t see any studies cited backing up the information. I was depressed and frustrated regarding my dentist visits and how my oral health was not getting better even with all the scaffolding and deep cleaning. Searching the internet I came across OraWellness and decided to give it a try. I ordered the starter kit and I am beyond happy experiencing the wonder of how my gums have healed a lot and my teeth have tightened. Thank you OraWellness! I’ve been meaning to write you after the holidays to let you know that all of my adult children received a bottle of HealThy Mouth Blend in their Christmas stockings! I have shared your products with all of them-even sent the basic starter kit to my youngest son living in Sweden! They have now all started on a path to oral health and wellness. Thank you for your continued great products and wonderful customer service. It’s a family affair indeed.